I have been wanting to do a Toddler Art program ever since I started reading Library Makers way back in…well, I don’t know the year…early 2013? Maybe? Whatever. The point is that this is something that I’ve been wanting to do for a very long time, and I can’t believe that I’m just now getting around to it. Especially considering that anything involving toddlers is sure to be popular. Right now, I’m planning to offer two projects for each Toddler Art program: one messy and one clean. I know, I know, I’m crazy. And I’m bound to run out of ideas (especially since I’ll be doing this program monthly), but that’s what Pinterest is for, right? Speaking of Pinterest, I got this fun craft idea from our favorite idea pinning site. This was our messy craft, though the mess was pretty well contained. Some of the toddlers were REALLY into shaking the box. Others were more interested in reaching in and fingerpainting or using the pinecone as a paintbrush. One of the things that I’m trying to emphasize with this program is to let the toddlers explore their mediums, and parent’s were pretty good about letting their kids go at it. For my clean art project, I had originally intended to do something that involved tissue paper and contact paper, but contact paper is one of the most elusive art supplies for me to find for some strange reason. 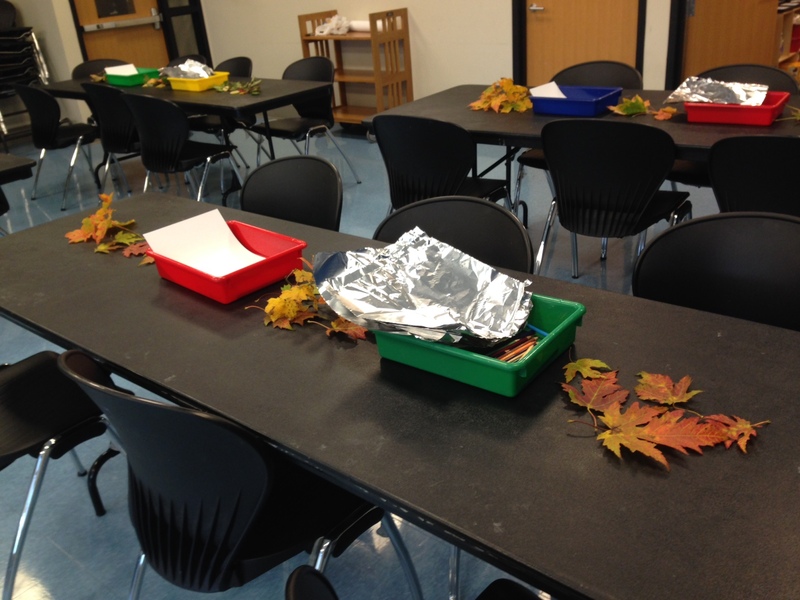 I ended up having to order it online, and I knew it wouldn’t come in in time for me to prep the project, so I asked my coworkers to bring in some fall leaves from their yards so that we could do leaf rubbings instead. 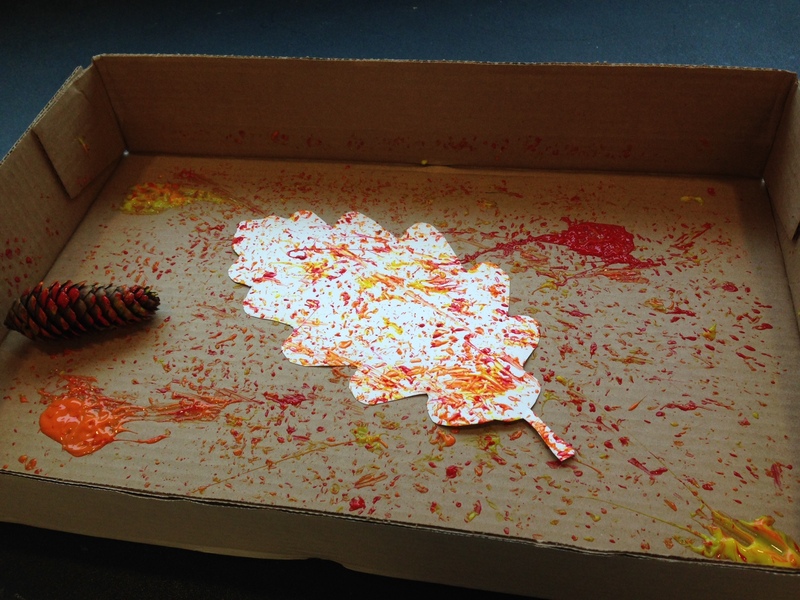 I offered paper and colored pencils for the traditional leaf rubbings, but also had aluminum foil on hand to replicate this Library Makers project. Funnily enough, the traditional leaf rubbings were more popular with my crowd, and some of the toddlers just wanted to scribble instead (which was perfectly fine). We purchase Contact Paper at Walmart. It is in the Household Dept with shelf & drawer liners. That’s where I used to get it, but I couldn’t find it this time. Maybe they were out, or maybe I just wasn’t looking hard enough. Either way, it was elusive. Thanks for letting me know, though! I’ll try it again when my current stock runs out.